"Lorraine has gone out of her way to help our elderly customer. We have a disputed claim, liability only claim and our client doesn't own a camera or, know how to use email. He has gone in to see Lorraine who quickly took action, provided me with all I need and offered her assistance if we need anything else. Not a lot of people would go out of their way to help someone when there is nothing in it for them but, Lorraine did. 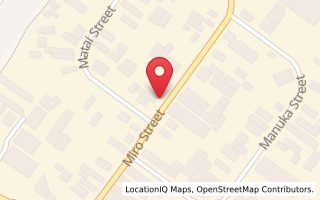 This needs to be celebrated"
"Thank you Lou and Lorraine for your kind help in urgently repairing our car so that we could travel back to Auckland safely. We are very touched and grateful to have met you." "TSR did an excellent job on my 1999 Mazda Familia Wagon - the body repair is top notch, the rear spoiler paint restoration is/was excellent! The rear end of my car looks like it's shop new! Would definitely recommend!" 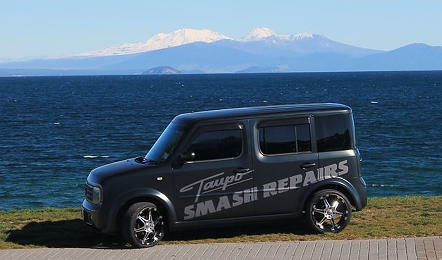 "Massive shout out to the team at Taupo Smash Repairs! Awesome friendly staff. Nice quick job on ordering the parts i needed & booking dates asap so I could be back on the road in no time. More then happy with the jobs that were done. They went above and beyond to fix things wrong with my car that were non crash related, cleaned it inside & out - it also is driving alot better so I assume there was some engine work done also. Highly recommend to everyone. Cheers Guys"